The Ultra-Trail World Tour continued with the Ultra-Trail Australia 100k race, and runners prepped for June’s Western States 100 at events like the Silver State 50 Mile and the Quest for the Crest 50k. All are among the highlights of this week’s column. It happened again. 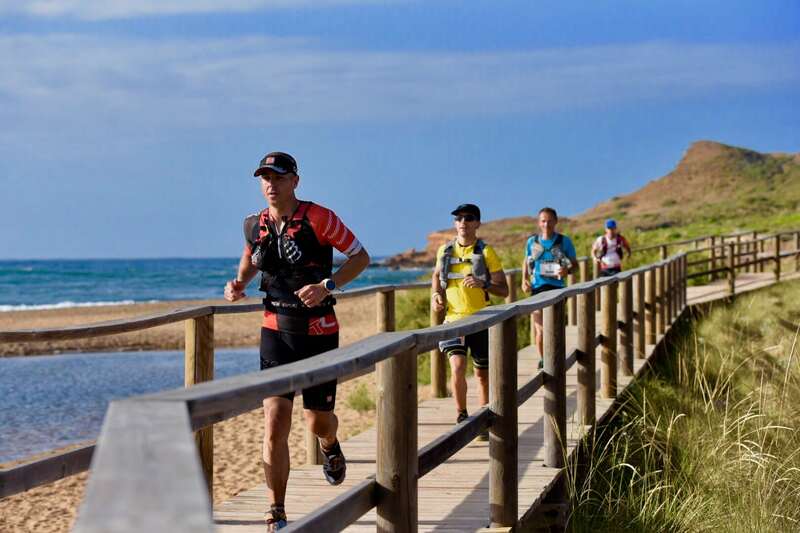 Weather forced a reroute of an Ultra-Trail World Tour event. This time heavy rain caused the Ultra-Trail Australia 100k to deviate from its traditional point-to-point route in favor of an out-and-back-style alternate course. The women’s field was made of most of Australia’s best ultrarunners, and the Aussies took each of the first eight finishing positions. Among that group, Lucy Bartholomew (Australia) rose to the top after being in front all day. Celebrating her 21st birthday, Bartholomew finished with a 10:52 winning time. Hanny Alston and Lou Clifton were second and third in 11:12 and 11:24, respectively. Fourth and fifth places were Robin Bruins and Daniela Burton in 11:26 and 11:27. In the 50k race, Kellie Emerson was best in 4:42. Tim Tollefson (USA) matched Bartholomew with his own wire-to-wire win. He splashed across the rain-soaked course in 8:52. Up next for Tollefson is the June 17 Broken Arrow Skyrace in California, and then further out, a return to UTMB, after recently deciding to pull his name off from high up on the Hardrock 100 waitlist. Though not victorious, Rob Krar (Canadian living in USA) was successful in his return from long-term injury. Unable to chase down Tollefson, Krar was a strong second in 9:11. Aurélien Collet (France) was third in 9:30, David Byrne (Australia) was fourth in 9:32, and Justin Andrews (USA, but living in China) was fifth in 9:49. Samir Tamag (Nepal) won the accompanying 50k race in 4:07, 10 seconds in front of Stu Gibson (Australia). The next Ultra-Trail World Tour race is the June 17 Mozart 100k in Austria. 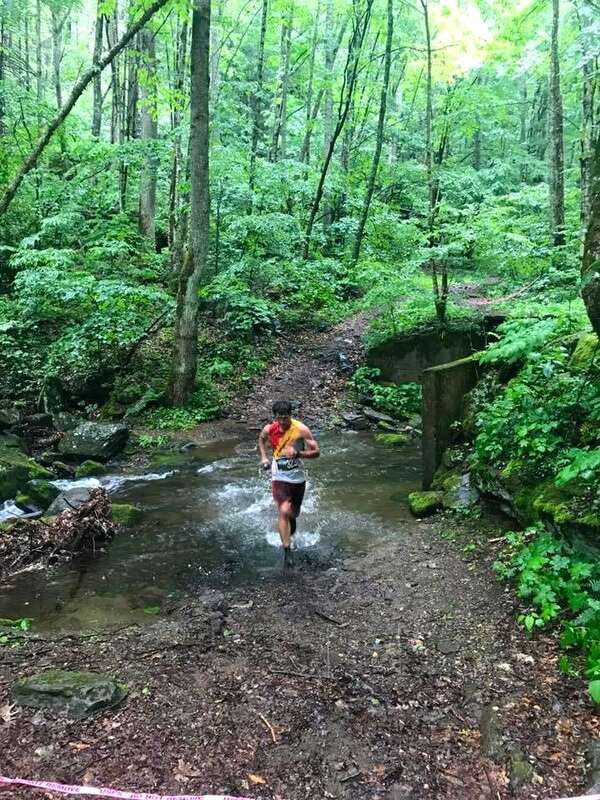 Held on a point-to-point course, the Quest for the Crest 50k race packs in almost 12,000 feet of elevation gain and includes a summit of 6,684-foot Mount Mitchell. 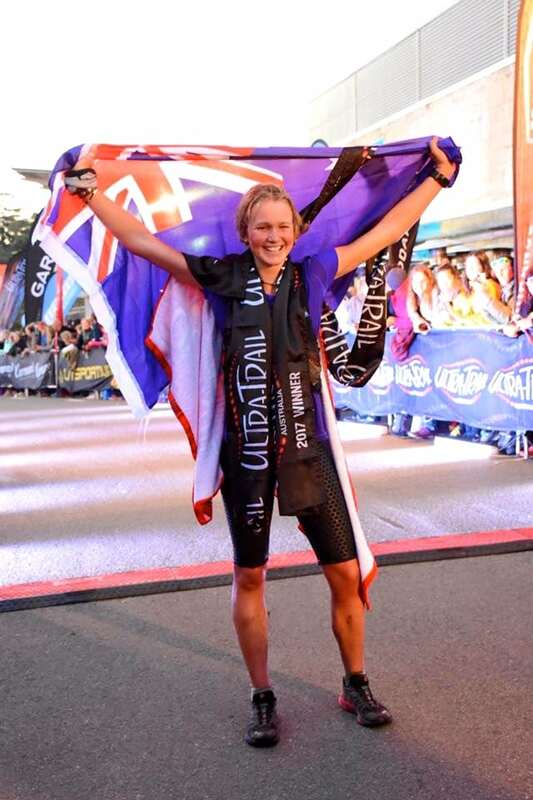 Women’s winner Jackie Merritt rode her recent hot streak to another victory. She finished in 8:32, well clear of second- and third-place Shannon Howell and Michelle McLellan. The chasers ran 9:00 and 9:36, respectively. Much like Merritt, men’s champ Avery Collins is also full of momentum on his way to Squaw Valley for the Western States 100. A cornrowed Collins fought off a spirited challenge from local runner Eli White, eventually shaking loose for a 6:45 first-place finish. White was second in 7:01, and third-place Ben Kinsinger ran 7:55. In the 10k race, Juliane Totzke and Jason Bryant were champs. It was Bryant’s second-straight win of the race. Like so many others in this week’s column, Amy Sproston ,too, went for one last prep race as she builds toward June’s Western States 100. Sproston’s 9:08 run beat out a 9:26 finish from Angela Shartel. Jenelle Potvin was third in 9:39. Four years after last winning, Chikara Omine returned to Nevada’s Silver State 50 Mile and again came out on top. Omine ran 7:31, and did it just two weeks after finishing second at the Miwok 100k. Second and third places went to Frank Aldana and Ryan Weibel in 7:47 and 8:14, respectively. Jen Benna and Noah Brautigam won the 50k race in 5:33 and 4:04. Amanda Morgenstern and race local Michaeline Nelson-Albright dueled to 10:41 and 10:56 first- and second-place finishes. Third-place finisher Erin Marcinek trailed in 11:21. In the men’s race, Chris Price denied Nick Clark what would’ve been his fourth win at the high-altitude mountain run. Price, who finished second behind Clark in 2015, won in 8:39 to Clark’s 9:18 this year. Shaun Burke was third in 9:24. Bibo Gao and Johnny Clemons won the Cruel Jewel 106 Mile race in Georgia with 37:14 and 26:30 times. Fifty-mile winners were Rachel Kelley and Shawn Webber in 12:57 and 12:33. Full results (when available). Rainshadow Running’s Sun Mountain event had both 50k and 100k races. In the 50k, Kaytlyn Gerbin and Riccardo Tortini were victorious in 4:40 and 4:14, and in the 100k it was Suzanne Johnson and Brandon Benefield in front in 12:00 and 10:18. Full results. Already the 25k course-record holder thanks to her 2016 win, Emily Gordon now owns the best time for the 50k race, too. Gordon won the Superior Spring Trail Race 50k in Minnesota in 4:30, two minutes better than the previous record that had stood since 2007. Men’s winner Ben Cogger ran 3:45. Full results. The Keys Ultra series of races in Florida must be as flat as a race can be. In the point-to-point 100-mile, Micah Morgan and Marc Burget went for 17:19 and 15:34 winning times. Katalin Nagy won the accompanying 50-mile race overall in 7:04. Tim Deer won the men’s race in 7:48. Full results. Previous Mount Washington Road Race winner Shannon Payne won the women’s race at the Black Canyon Ascent, a six-mile, 2,000-foot, paved-road climb up to the top of Colorado’s least-visited national park, Black Canyon of the Gunnison NP, in 45:39. Second-place woman was McKenna Broyles in a distant 51:25. Mike Popejoy, a previous Olympic Marathon Trials participant, ran a new course record of 38:55. Josh Eberly, a past U.S. Mountain Running Team member, was second in 40:55. Full results (when available). Hungary’s Ultrabalaton 220k (136 miles) took place, with Zsuzsanna Maráz (Hungary) bringing home the women’s win in 22:31. Dan Lawson (U.K.) is pushing his taper late. Just 41 days out from the IAU 24-Hour World Championships, the medal hopeful won the men’s race in 18:30. Full results (when available). In China, the Xtrail FKT race is a trip up and down snow-covered 20,420-foot Yuzhu Peak. A small group of runners use crampons and fixed ropes in the race. Course conditions kept this year’s group off of the summit and the race instead turned around near 18,500 feet. Stevie Kremer (USA) repeated as women’s winner in 82 minutes, beating all but the top-three men. Men’s winner Jia-o Renjia (China) beat out second-place Jason Schlarb (USA) by 10 minutes. Full results (when available). Women’s winner Christine Mosley was third overall in 5:43 at Washington’s Tiger Mountain 50k. In the men’s race, Zach Szablewski, who also will race Western States this June, finished in a first-place tie with Michael Havrda in 4:43. Full results. The 185k Camí de Cavalls was a true island circumnavigation, circling Spain’s Menorca island. Gemma Avelli (Spain) and Antoine Guillon (France) won the longest of the event’s five distances, finishing in 24:46 and 19:29. Other notables included Pau Capell (Spain), first in the 37k at 2:40. Full results (when available). Genevieve Clavier and Chris Denucci each set new course records at the Coastal Trail Runs San Francisco 50k. The two went for 5:13 and 4:05 wins. Full results. Alison Memmott and Aaron Fletcher won the Timp Trail Marathon in Utah, in 4:41 and 3:07 respectively. Fletcher’s performance is a 23-minute course record at the eight-year race with a beefy 5,800 feet of climbing. The recent Brigham Young University cross-country and track standout who has dabbled in obstacle-course racing, too, appears to be one to watch as he experiments in the trail scene. Full results. The inaugural Mauna to Mauna Ultra, a 250k, six-stage, seven-day, self-supported stage race, took place last week on Hawaii. 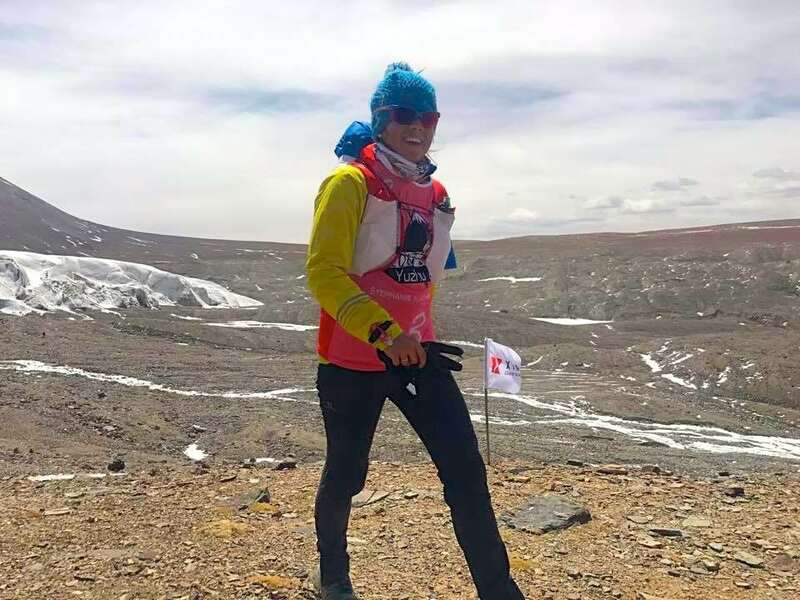 Hawaiian local Sylvia Ravaglia bested the women’s race in a cumulative 34 hours and 32 minutes while Spain’s Vicente Garcia won the men’s race in 26 hours and 46 minutes. Full results. Kilian Jornet’s Summits of My Life team reported that he successfully reached the 8,848-meter summit of Everest at midnight local time on the night of the 21st to 22nd of May via Everest’s North Face without oxygen or fixed ropes, 26 hours after beginning his attempt at the Everest Base Camp near the Rombuk monastery on the mountain’s north side, at 5,100 meters altitude. At 12:15 p.m. local time on May 22, Kilian safely returned to Advanced Base Camp on the mountain’s north side, at 6,500 meters, and elected to stop and not return all the way to the 5,100-meter base camp due to stomach problems. The always competitive Zegama-Aizkorri Marathon is set to take place Sunday, May 28 in Basque Country, Spain. The women’s race is headlined by Emelie Forsberg, Anna Frost, Megan Kimmel, Oihana Kortazar, Ruth Croft, Maite Maiora, and more. The men’s race should see the likes of Marc Lauenstein, Rémi Bonnet, Ismail Razga, Zaid Ait Malek, Aritz Egea, Jonathon Albon, and others at the race front. iRunFar will cover the race live, and publish a full preview. Stay tuned. The Maxi-Race event in Annecy, France sports a number of race distances, including its most competitive 110k event on Saturday, May 27. The women’s 110k race should see Caroline Chaverot, Andrea Huser, Courtney Dauwalter, Mimmi Kotka, Cassie Scallon, and Francesca Canepa, and others vying for the women’s podium. In the men’s race, watch for Max King, Dakota Jones, François D’haene, Gediminus Grinius, Ian Don Wauchope, Sam McCutcheon, and more. A couple notable runners have popped onto our radar with their performances this weekend, Justin Andrews, the fifth-place finisher at the Ultra-Trail Australia and an American living in China, as well as recent BYU grad Aaron Fletcher who set a massive course record at the Timp Trail Marathon. Do any readers have more insight into these two runners? Leave a comment to share results from other races that took place this weekend. Thanks! I think a nod to Meghan Hicks’ Bob Graham is needed as well – congrats! No mention this week or last week about Dawn to Dusk to Dawn? Share a note about it if you can. We always ask for and love hearing about additional races. 3 Days At The Fair in north New Jersey this year (72, 48, 24, 12, 6 hr race) also showcased its first 6 day race. Held on a 1 mile loop with no shade, unseasonably warm temperatures for most of the week cooked most of the runners. Of particular note, 77 year young Fast Eddie Rousseau, after giving up hopes of chasing AS records on Day 2, ran a casual 303 miles in the 6 day contest. And 78 year young Jimmie Barnes ran a consistent 132 miles in the 48 hour. Very impressed by KJ’s successful Everest ascent. Nearly every May Mt.Everest becomes a human highway that is climbed by hundreds of people. However, the vast majority follow fixed lines and use bottled 02 to aid in their summit bids. To see Kilian climb it in 26 hours while must do it over several days is most impressive especially when he does it without oxygen and fixed lines. And alone. To me this trumps any of his ultramarathon and trailrunning achievements – as good as they were- in terms of bravery, skill, and sheer determination. Anyway, it makes me wonder where Kilian’s career will take him now. I can’t help but think his focus will soon shift even more towards climbing and away from running. I hope he continues to compete as a runner. But from an entertainment perspective his Everest climb had me hooked. I spent a good part of my evening yesterday going back and forth between social media sites trying to find the latest news on his climb. I’ve never even met the man but I had anxiety over the lack of updates on his progress! Will be interesting to see how he does in UTMB and Sierre Zinal later this year. – The original course isn’t point-to-point, but rather two big loops, sort of a figure eight, where you Start/Finish in the same place (in Katoomba) and roll through town in the middle as well. – The reroute mainly only affected the second loop. We basically ran the route as planned the first 70K or so, but gave the last bit a miss and retraced our steps to back to the S/F — so a loop + out-and-back course. While less total climbing than the original course, it also had way more stairs that really slow things down, so not sure if it was really much faster/slower than normal. 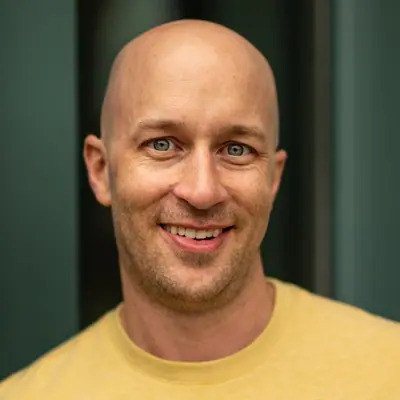 – Rob Krar mistakenly took a wrong turn very early in the race (like 4 or 5 miles in, where there were some unfortunately conflicting markers in one spot*), and had to run an extra 10′ or so to get back on course. I had surprisingly found myself in 4th place around mile 20, wondering how that could be, and then Krar came by me, as he’d set himself way back in the pack. I don’t think he lost as much total time as Tollefson beat him by (so potentially no affect on final outcome), but it doubtless changed the dynamics of the race. *Just to be clear, the logistical changes w/ the last minute reroute and the like was really impressive and the course was generally very well marked. The organization was really great on the whole. 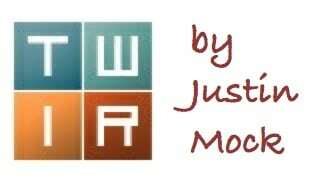 Thanks Justin, great recaps/results as always! Appreciate your hard work. Strange he missed a turn. Definitely one of the most thoroughly marked courses I’ve run. Per his Strava would appear he spent about 7′ total off course. Regardless, would’ve been nice to share some miles with him if he could’ve hung on. Didrik Hermansen won the Eco Trail Oslo 80k last weekend. Quest for the Crest is a nuts hard race. I suggest everyone give it a go. The views are awesome, and seeing that finish line gives you such a huge feeling of accomplishment unlike any event I’ve been to. I can shed more light on (myself) Justin Andrews…I’ve been living in China for nearly the past four years in Chengdu, Sichuan Province. I currently teach woodworking at SW Univ. for Nationalities in Chengdu and have a good bit of free time, so I’ve gotten back to respectable training volumes in a bid to be competitive on the international ultra scene. Seems UTA last weekend was a turning point. Chengdu is the biggest inland city in China and is called the gateway to Tibet. I’ve hosted Bryon here and we got out for a hike/run on some local farming trails that are my closest non-flat training grounds an hour away by subway, then we saw the pandas. A city of 15 million known for those animals, spicy food and pollution, it makes for a challenging training area, but there are 20,000′ mountains a half-day’s drive away, so I get out there whenever I can. My sister and brother-in-law live in HK, so Translantau 50k there in March 14′ was my first ultra and then I won it the year after. But I’m not a stranger to distance running, as I’ve run for 19 years including collegiately at UW-Stevens Point and then with the Kansas City Smoke for 6 years). HK100 in 2016 was my first 100k and then at this year’s edition that featured Tollefson, Seth Swanstrom, Didrik H., Sage Canaday, Dani Jung, and a host of other elites, I placed 14th. Last weekend UTA became just my 3rd 100k that I’ve finished (dropped out of Translantau 100 this March). Next up is Eiger 101 and CCC, so I’ll be spending the summer in Europe. See some of you there, I hope. Apology to you, Seth, if you’re reading this! Correction to your last name–Swanson! And as a small addendum, I’d say my first brush with the ultra world was via my former UW-SP teammate most any reader here would know-Zach Bitter. To say he’s come a long way in the ultra world from humble beginnings at a NCAA DIII school would be an understatement, so it’s been fun to follow his journey and be inspired that the ceiling is but glass that’s meant to be broken. Cool, thanks that comment JA and good luck the rest of the summer.